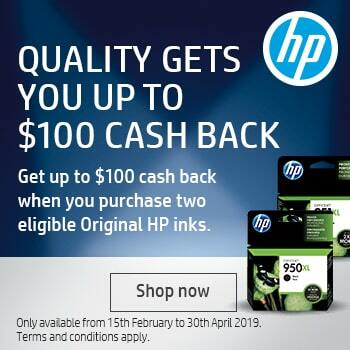 In Australia we buy millions of printer cartridges a year, both inkjet and toner. The vast majority of these are Original Printer Cartridges, ones that are made by the same people who made the printer. As well as offering superior performance, Original Printer Cartridges are far more sustainable than their generic counterparts. This is because the cost of recycling has already been paid for by the manufacturer to make printer cartridges sustainable rather than a pollutant. Put simply, sustainable printing is a way of producing printed material using tools that have minimal impact on the environment during manufacture, use and disposal. Surveys have shown that we Australians are very much in favour of sustainability in the products and materials we buy and use At the moment we are all concerned that much of our recycling is being stored, and some is going to landfill, with little being recycled. Original Printer Cartridges are still being collected and, just as importantly, being recycled right here rather than offshore. Sustainable manufacturing aims to minimise the use of non-renewable resources by using previously manufactured plastics and minerals. This also reduces Greenhouse Gas Emissions by using less energy to refine materials. 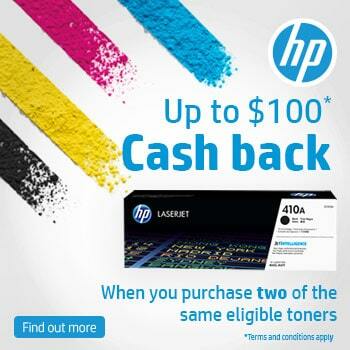 In 2017 HP, for example, used between 45% and 80% of recycled materials in 80% of their inkjet cartridges and up to 38% of recycled materials in all their toner cartridges. Sustainable usage means reducing not only the energy consumption of printers but reducing the use of consumables as well. One printer manufacturer has introduced new technology that reduces energy consumption automatically turning devices on when they are needed and off when they are not rather than sleep or idle mode which consumes up to 26 times more energy. Innovations, such as lower melt point toner, also reduces energy consumption because less heat is required during the printing process. Paper usage consumes vast numbers of trees. By including either manual or automatic double-sided printing has significantly reduced the amount of paper used in printing and therefore conserving more trees. When producing their own paper HP has achieved zero deforestation by planting new trees as replacements. In Australia CartridgesDirect have partnered with Cartridges 4 Planet Ark and Close the Loop to collect empty Original Printer Cartridges and to recycle them with zero waste going to landfill. Every part of an empty Original Printer Cartridge is repurposed to a new application rather than being put into landfill. The harvested materials are used in new cartridges as well as road surfacing, street furniture, planter beds, pens, all sorts of useful applications so that their environmental footprint at the end of life is zero. Cartridges 4 Planet Ark have hundreds of collection points at Australia Post Outlets for home users and will even supply a collection box for eligible businesses. This collection process is entirely separate from other recycling programs, such as recycling bin collection, with all Original Printer Cartridges going to Close the Loop for zero waste recycling. So far this has totalled 40 million cartridges being saved from landfill since 2003 with zero waste of resources as every part of a printer cartridge is reused. Every Printer Cartridge sold by CartridgesDirect can be collected by Cartridges 4 Planet Ark and totally recycled by Close the Loop.